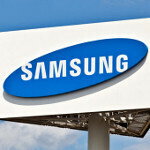 In late October, a DLNA Certification hinted at a new Samsung Galaxy Note tablet. 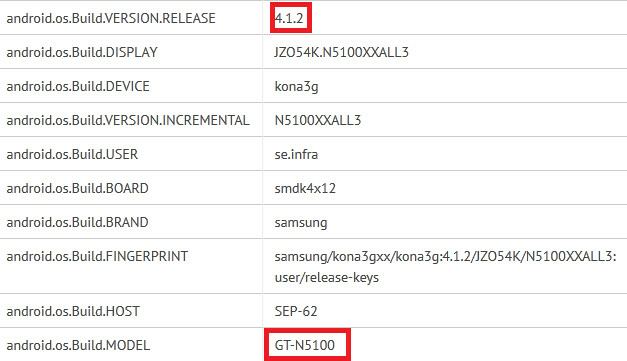 That was followed by a UAP that revealed the 1280 x 800 resolution on the tablet, known as the Samsung GT-N5100. Earlier this month, the device showed up on the Nenamark2 benchmark site and that has now been followed up by an appearance on the GLBenchmark site. With the "N" designating a Note tablet, and the 7 inch screen, this device has been known as the Samsung Galaxy Note 7 and is unannounced. Based on the benchmarks, it would seem that the Samsung Galaxy Note 7 will be powered by a 1.6GHz Samsung Exynos 4412 processor, offer 1280 x 800 resolution and have Android 4.1.2 installed. The resolution matches the display used on the Google Nexus 7 and equates to a 216ppi pixel density. With CES 2013 and MWC 2013 on the horizon, we'd certainly expect to see Samsung introduce this at one of the two shows. The 7 inch tablet market is where the action is with Acer and ASUS expected to join the Amazon Kindle Fire, Google Nexus 7 and the Apple iPad mini. A new offering from Samsung would be welcome, and with all of the competition in the sector, it practically guarantees favorable pricing for buyers. It's a note so definitely will have the S-pen and sure this is mine when it goes for sale. I am a note fan and all but whats the point of a 7 inch note when the note 3 is rumoured to sport a 6.3 inch acreen? personally i think the Note 3 should sport a 5.8 inch screen like the galaxy Music Player then the Note 7 is justified and Sammy we love you but you gotta bump up the screen res for these new bad boys! Keyword in your comment: rumored. I think the next Note will at most have a 6 inch screen, though I could be wrong. Also, Samsung could always up the screen size of the 7 inch tablet to say 7.8 inch or even 8.1 inch if they needed to. Remember, the Note III isn't going to be out until most likely fall of next year. I'll pass.. Bring the next Note 10.1! I think Samsung will charge 299-349$ respectively for 16gig-32 gig models. Samsung tablets are easier cheaper than the iCrap at this time. Check out Costco or Walmart. Um Google does not sell any apps to "expect profit from apps"
My eyes will hurt with anything under 300 poi. So I will pass. Wow you sound like such a snob. I hope an lte version will come to verizon! Could this be the galaxy note 3 ? Keep it under $300-350 for a wi-fi version, expandable storage, and micro USB instead of the proprietary connector they used on previous tablets (as well as on-the-go capability), and I'll buy this instead of the Nexus 7 when my income tax refund comes. I might not have upgraded to the Note II, but I definitely want this tablet. I hope that this will the bigger version of the Note II. Hopefully it'll be no more than $350. I think it might be $299~$349 with 16G, because s-pen and digitizer worths $100. I wish manufacturers would start making more 7.7" tablets. I saw the Galaxy Tab 7.7 in a Verizon store, and I was surprised at how much better that size seems compared to a 7" tablet. The extra width makes a lot of difference -- at least to me. Of course I'm the Goldilocks of tablet buyers with my Galaxy Tab 8.9. I'd be very happy with an updated version of that too. I hope that this note 7 will also have that aluminum back cover same with the tab 7.7 and a full hd super amoled display! i hope it will be a 7.7 inch super amoled+ with 720p or 1080p diplay with support of s-pen. Dual-core 1.7 GHz Exynos 5250 with Mali-T604, 2 GB RAM and i think it wil show the new touchwiz UI with android 4.1.2!!! i wanted a note in 7inch factor and if this tuns out to be that then sammy TAKE MY MONEY!!! i think they will charge between $550-$600!!! a samsung galaxy note at 7 inches is PERFECT. good size to be used as a note. Well this is a great debate topic, I have a note 10.1 G-N8000 3g and it is a big 10in Note 2 in every aspect stylus and all... It's a great tablet, and I love having all the phone features when my primary AT&T phone SIM is in it... However it is clearly way too big to be my everyday carry phone despite the fact I use a Bluetooth handset with it, I was just thinking how attractive the Nexus 7 3g would be "IF ONLY" it had the phone features, and even the XDA community is struggling to get any of that to work with it... I think the 6.3in Note is awesome and would be a perfect middle ground, HOWEVER, they need to continue to make all size options available, depending on the person’s needs... If I was the kind of person that sat around the house most every day the Note 10.1 3g is the perfect solution, point being the larger screen is great for obvious reasons, at 6.3 or 7in I would buy it... I'm not constantly running around all day and night but I do come and go some from work and school, etc... Again, each person has unique needs, so no one person is right or wrong, they need to have 3 size options available period... But to replace the Note 2's size any larger for all future hardware upgrades no... GREAT ARTICLE, THANKS!! !